Raison Foster Associates provides a fast, high quality and confidential service supported by state-of-the-art software covering all geotechnical and foundation design requirements. Project management for geotechnical design programmes. 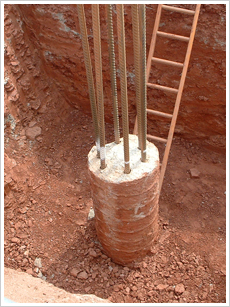 Raison Foster Associates have more than 40 years professional geotechnical experience in all aspects of foundations work. We have experience in on-site contract works and consultancy and are therefore able to develop appropriate, practical and cost effective solutions to your geotechnical problems. All work is to the appropriate Eurocodes or legacy BSI standards and codes of practice. Raison Foster Associates is covered by Professional Indemnity Insurance of up to £5m as standard.